Les Figues Press, 9781934254646, 205pp. Poetry. Latino/Latina Studies. Translated from the Spanish by John Pluecker. What is a body when it's lost? ANTIGONA GONZALEZ is the story of the search for a body, a specific body, one of the thousands of bodies lost in the war against drug trafficking that began more than a decade ago in Mexico. A woman, Antigona Gonzalez, attempts to narrate the disappearance of Tadeo, her elder brother. She searches for her brother among the dead. San Fernando, Tamaulipas, appears to be the end of her search. But Sara Uribe's book is also a palimpsest that rewrites and cowrites the juxtapositions and interweavings of all the other Antigones. From the foundational Antigone of Sophocles passing through Griselda Gambaro's Antigona furiosa, Leopoldo Marechal's Antigona Velez, Maria Zambrano's La tumba de Antigona all the way to Antigone's Claim by Judith Butler. And this book's writing machine includes testimonies from family members of the victims and fragments and fragments from news stories that provide accounts of all these absences, all the bodies that we are missing. "As the families of so many disappeared throughout Mexico, Sara Uribe's ANTIGONA GONZALEZ roams a convulsed land looking for the body of Tadeo, her brother. 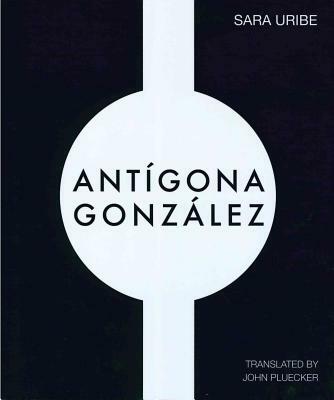 As urgent as it is delicate, ANTIGONA GONZALEZ summons the dead and brings them to our tables, for the day we cease sharing memory and language with them, we ourselves will become loss, vanished sign, oblivion." --Cristina Rivera- Garza.